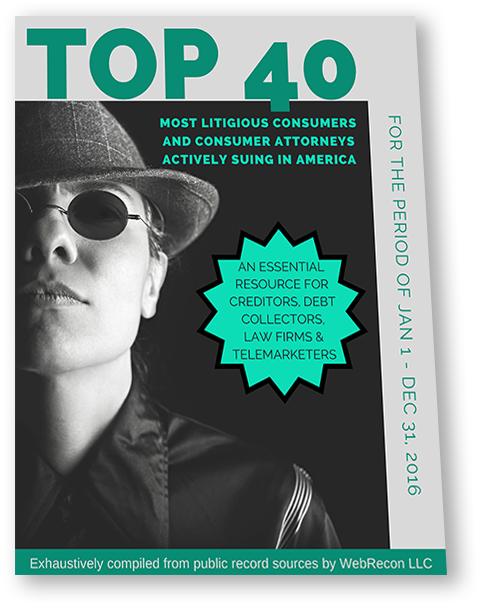 How many lawsuits can you stop with this free report? Important: this offer is only available to collection agencies, creditors, collection law firms and telemarketers. It is not available to consumers or consumer attorneys. If we can not verify your information, we will not be able to share this report with you. By requesting this report you will be added to our monthly guest newsletter mailing list and may receive other emails advertising or promoting our services. Your information will never be shared with or sold to third parties, ever.